Surgeons have long played their favorite music to relieve stress in the operating room, and the extension of music to patients has been linked to improved surgical results. This is why in recent decades, music therapy has played an unimaginable role in the therapeutic environment. Music therapy consists of using the sound, the melodies, the sound colors of the instruments, the types of compositions…as a mediator to the care or to the change of conscience…The sound influences our behaviors, our thoughts, our emotions, our energetic bodies… Already you formalize all this yourself by whistling when you are happy, by choosing a song of your 16 years which instantly plunges you into a particular mood, listening to a catchy music because you need to move…in fact you are already a music therapist. If music therapy is unknown to you, following is some information that you will surely need to know about this subject. Music therapy is a booming field. People who become certified music therapists are usually accomplished musicians who have in-depth knowledge of how music can elicit emotional responses to relax or stimulate people. This technique also aims to help them heal. This music therapy thus combines the knowledge of a wide variety of musical styles aimed at helping patients who are going through a difficult physical rehabilitation session. This is also often used for the purpose of guiding in meditation. This discipline has been used for 30 years in hospitals in its most well-known form by listening to musical relaxation compositions in order to soothe anxieties due to a medical examination or an operation that is known to be difficult, morale at half-mast , in geriatrics to help strengthen memory and motor skills, at the level of the pregnant woman and the baby mother relationship…In school environments where relaxation is introduced, music therapy is found in the form of deliberately soothing listening time , helping with stress, a return to calm and a more positive mood, but also with the contribution of musical instruments available in the musical awakening classes. This is also known as active music therapy. The child learns to create emotions, to better understand how their own inner reactions affect their present moment. In this case a music therapist demonstrates how the sound created and guided will act on the emotional and energetic centers through the rhythm, the sound, the choice of melodies to create…It can also push to encourage attention and concentration in order to help in concentration, favor naps in nurseries etc…in geriatrics for activities of memories…because the sound travels and makes travel…A part of activity of active music therapy will also be proposed, and build instruments with your loved ones will be possible and desired! 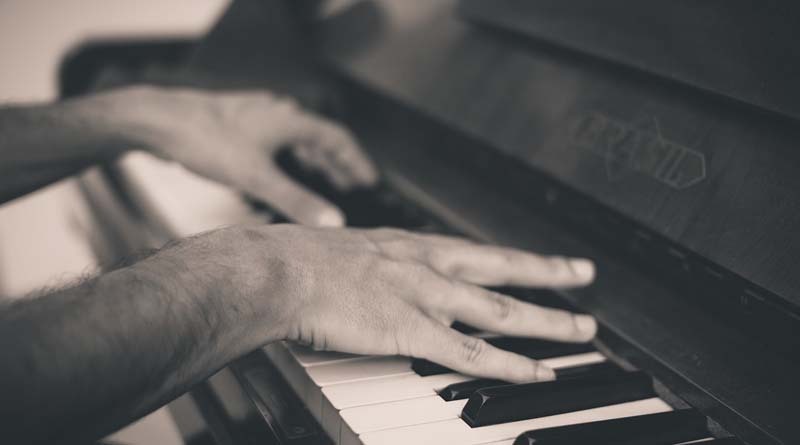 Many music therapists attend music training before becoming a therapist who uses music to heal ailments, be they physical, spiritual or emotional. Indeed, music plays a supporting role for people in difficulty, allowing them to feel good. Music therapists know few limits. They can play music for their patients or with them. It is not uncommon to find some who teach their patient the learning of a musical instrument. With technological development, these practitioners have access to all kinds of music to treat those who are in pain. A growing body of research shows that music therapy has different benefits. It can improve medical outcomes and quality of life in a variety of ways. This therapy aims to relieve anxiety and discomfort during diagnoses or other therapies. In patients who have undergone colonoscopy, cardiac angiography or knee surgery, those who have listened to music before their surgery have less anxiety and need less sedatives. People who listened to music in the operating room reported less discomfort during the procedure. And those who heard music in the recovery room used less opioid pain medication. Music therapy is not just about relieving physical and bodily pain; it is also a great way to deal with different psychic traumas that everyone is facing.